The time has come for an update on Niche Site Project 3! Over the past few months, Samara, Ryan, and Colleen have been busy building out their niche sites, and as you will see below, things are definitely moving in the right direction. For the most part, the regular coaching calls are over. We've covered tons of material and honestly all of the basics (and much of the advanced) that anyone would need to build a niche site from scratch right here. Now, we are going to try and provide monthly updates for the next several months for how their niche sites are doing; including, traffic, earnings, and other lessons learned. Today is the first of the official monthly reports. So, as you can see below all 3 students have provided an update for May on how their niche sites are coming along. Enjoy! Well, it’s been about a month since we revealed my site, Tiny Fry, so we thought we’d give you a little update on what I’ve been up to in May. As you’ll recall, the strategy going forward is to write content, do outreach, work on social media and try to get some backlinks. Lather, rinse, repeat. So that’s essentially what I’ve been working on. I published seven articles in May, which I think is okay, but to be perfectly honest, it’s about half the number of articles I would have liked to publish. I am hoping to beat that number in June. I wrote a mix of affiliate and non-affiliate content, and for some reason the former just takes me a long time to complete. I have 36 posts at the moment. I have been doing outreach, and a few bloggers have offered to share my article with their followers on social media, although the majority generally respond to say “thanks”. I have started a few conversations with some people in the space, and it feels nice to connect with others and start building those relationships. I have been a total failure on social media. I wanted to publish something every day and, sadly, that hasn’t gone as planned. It turns out that managing several social media accounts is actually more time consuming than I thought! That being said, I really do want to get active as I think there are lots of opportunities there. As for backlinks, I snagged a few this past month. I did a guest post on a friend’s blog, which has absolutely nothing to do with kids and babies, but I was able to find an angle that made my article relevant to both my friend’s site and my own. I was interviewed for participating in Niche Site Project 3 on a great site on entrepreneurship, so I nabbed a link there. I had an idea for a new section for my website, which I’m pretty excited about. I’ll be publishing interviews, which I think will really provide some great value for readers, and as an added bonus I may be able to get a few backlinks in the process. I’ve reached out to 15 people so far and already have 5 articles lined up, so I’m very pleased with how that’s going. I hope to launch the new section this month. I got a handful of subscribers through the opt-in on my homepage, and I sent out my first newsletter, which will be monthly for the moment. It was my first time putting together a newsletter, so that took a bit of time and planning. Traffic to the website peaked, unsurprisingly, when we revealed the site, and since then it’s been on a steady decline, although at the moment I’m still getting half as many visitors as I did following the big unveiling. My earnings in May from using my Amazon links amounted to $21.51. It’s still a long way from $500, and it’s certainly not enough to pay off my mortgage, but it’s a start! I can see people have bought all kinds of things through my links, including many products that I have recommended, which is pretty cool to see. So that’s where I am, in a nutshell. I feel that I’m off to a decent start. There are so many things I want to do with the site, but there are only so many hours in the day, and I never seem to make it through my entire to-do list. Like, ever. But this isn’t a race, and I’m confident that working consistently on Tiny Fry and growing it gradually will yield great results over time. Well folks, this is what failure looks like. I wish I had better stats to offer up, better insights gleaned, better news to report. But I don’t. This is what failure looks like. Or more accurately, this is what failure on a personal level looks like, because it’s not the failure of the tactics and strategies that Jake has taught me along the way. No, this is about me not getting my work done. Sometime around Mid-April I just hit a wall on the website and I allowed things to stand in my way. Life things. Confidence things. Depressing things. Sure, some of these events and circumstances were out of my control, and May has been a very trying month for reasons that I won’t get into because I don’t want to seem like I’m making excuses. We’ve all got stuff in our lives that stand in the way of us achieving our goals/dreams/happiness. The successful among us power through them, learn from them, and grow stronger. That’s all I can do at this point. I’m not sure where the other students are at, but I’m going to assume leaps and bounds ahead of me. It’s hard not to beat myself up when thinking about it. I feel like I’m wasting a great opportunity. STOP IT, YOU’RE DEPRESSING US! 1. Your crazy if you think I’m giving up. I’m only going to get stronger from this point forward. 2. I think from the standpoint of the Niche Pursuits community, maybe some of you can relate to this. I think it’s good to see one of the students struggling to succeed. The idea that I could fail at this is very real. And if you don’t put the work in, you’ll fail to. I just need to refocus. Maybe some of you out there do too. 3. The content that I do have on my site is ranking, so something I’m doing is working. Right now most of it is on the third page of Google, which I can only assume is just because of good SEO. I just have to scale up my output and outreach. This is very doable. 4. Some of the big life events and circumstances that were standing in my way have been solved. These were taking up way too much mental space in my brain (and hours of my day) and I’m finally ready to move through them. So there you go. I apologize if this wasn’t a helpful write up for you guys in terms of strategies that are working vs. not working etc, but I felt like I just needed to be real here and let you know where I’m at. I promise you that the next time I do a write up, there will be plenty of positive things to talk about. I can still do this, and you can too. The month of May has been completely focused on lots and lots of link building! Fortunately, I've really enjoyed getting to know other artists and webmasters in the music industry. It's crazy the connections you can make all over the world. I've been doing a combination of guest post writing and targeting link and resource pages. My goal is to get to 100 links to Coustii, before switching my strategy back to building more content. Right now, I've got 70 live links and still growing! In the screenshots, you can see the spike in traffic at the beginning of May. We got a little extra boost from the NSP site reveal. My organic traffic is still small (about 900 in May), but we're still climbing and all of my keywords are now ranking. I've even got a few hitting the first page of Google. The past month has forced me to be a bit more creative with my link building tactics. I've already knocked out my “easy” targets, such as sites accepted guest posts for guitars or ukuleles. I've started reaching out to markets that have a small tie to my particular niche. Then creating content geared towards both of our audiences. I've learned that it never hurts to ask! Maybe a topic or article pitch is really a long shot, but it doesn't hurt to try. Even if someone says no, you can try another idea. Don't take no for an answer! Overall, I'm really happy with the way that Niche Site Project 3 has turned out so far! The coaches have done some great coaching, and the Samara, Ryan, and Colleen have put in a ton of effort and are starting to see some nice results. As Samara continues to “lather, rinse, and repeat” with content, links, and monetization I'm quite confident that her rankings and earnings will continue to improve. Colleen has put out a ton of great content on her site, and looks like she starting to get some nice links with her outreach and other link building efforts. Even though the site hasn't been monetized yet, I'm sure in the long run the money it makes will be well worth the effort. Even though Ryan has had some hurdles that have kept him from working on his site as much as Samara and Colleen, I'm still happy with the progress I've seen. Ryan is an extremely busy guy with a family, full-time job, and more, but has still managed to lay an awesome foundation for a great online business in the past few months. We are all rooting for you, Ryan! 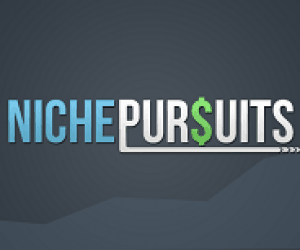 Hopefully, this quick report for the month of May on all the niche sites is helpful as you work on and build your very own niche sites. All of these sites are really young and so perhaps the stats and earnings don't look that impressive yet; however, this is too be expected with new sites. In just a few short months, I'm quite confident that these sites will have grown to a point that is much more significant in terms of traffic and earnings. My 2 New Niche Sites: Showing Positive Results! What’s Better – a WordPress site vs. a static HTML site? What Google Adsense Click Through Rate Should I Expect on My Site? Especially for us who started building our own sites at the same time (more or less). I’ve been waiting for these updates to check and compare with my own. All four of you are doing a great job! And for you Ryan, just keep at it and I’m sure success will follow! Wow! That’s some great progress guys. I know there are some ups and downs, like with everything in life, but the main point is to keep going and I truly believe success favors those that don’t quit…ever. Keep up the great work everyone! Am following along with great attention here as well as in SemRush. Spencer’s updates just finish up on how the flowers blossom slowly, but surely in a competitive field. Well done all of the constituents here. Oh Ryan, thank you for your candor, To your advantage, you are young and time is on your side. Remember Yogi Berra once said: “it ain’t over til its over”. Just wanted to thank Samara, Ryan and Colleen for sharing their journey with us. I love seeing the screen caps from Google Analytics as it helps me benchmark on some of my newer sites too. That was very interesting to read. I think it’s awesome that you guys are willing to share, especially you, Ryan! It’s so important to show people that blogging takes a LOT of hard work and effort and success simply does not happen overnight. When you look at the revenue reports of some bloggers, it looks like they’re making $500 or so on their first report. You have to read it to see that they had in fact only began to monetize what was in effect, an established blog/site. It took me more than two years to start turning a profit (that was over a decade ago). I do very well now, doing this as my full-time job, but it has taken years to get there. Do not despair and keep on the good work! Managing multiple social media accounts is super difficult sometimes. People always make it sound easy, but even with the help of a virtual assistant who knows the voice and tone you’re going for it can be hard to monitor what’s going on and feel active enough on additional accounts and multiple platforms. I hope you’re able to find a good balance in there or maybe bring on some helpers to handle it for you. As always, thank you for sharing you experience, I enjoy following the progress. Congratulations to all 3 of you and please keep up the great work! I totally understand where you are all coming from, it does require a lot of effort but also things will improve over time. I have a website I started over a year ago which I have neglected over the past 6 months and it’s only now that it’s starting to gain some traction and is ready for some serious monetization. I also started a niche site when Project 3 began and Im on part with Samara, so it will be interesting to keep following your progress and compare with how I am faring (even though we are in completely different niches). All the best and thanks for the update! Not sure, I hope in the next month…but depends on Ryan’s schedule mostly. Thanks for sharing amazing post! Thanks for sharing your stories. Sometimes we only hear the huge success stories so it’s really refreshing to see everyone’s successes and challenges and gain an appreciation for all your hard work. Keep at it! Wishing you all continued success. The content on Coustii.com (Colleen’s) does not convince much, too general, not high quality, especially the fields relating to coming to pedals and effects, I actually have some exp in this field and I feel that. There’s actually a little part of me that is encouraged by Ryan’s struggles. Why on earth would I say that? Don’t get me wrong… I want Ryan to do well. I want all three of them to do well. But I think that Ryan’s path through NSP3 is very reflective of many of ours, and it’s refreshing to see that even with all the great resources provided to him, and all his hard work… that sometimes Life just gets in the way of what we are trying to achieve here. In no way do I want to diminish the hard work that Samara, Colleen and Ryan have put into their projects, and I have thoroughly enjoyed being able to gain a glimpse into the complete end to end process… but I think it’s important for us to see that this isn’t all roses. So good luck to all of you, and I’m sure that when Ryan gains some traction…. look out! Hi spencer, why dont u update your amazon fba status? i am really curious since I have spend all time and money on FBA project, your post were very inspiring and I hope if you are doing FBA and doing well. I’m really impressed with Colleen’s focus on consistently building quality backlinks. If she keeps up the hard work and continues to produce good content, she will eventually have a site that makes much more than $500 in my opinion. I love the way you share everything you did with your sites in the past month. However, I don’t see the Amazon FBA stats in the article. I would love to hear about that as well. This is only about the niche site projects, not about Spencer’s sites. Have you published the plan for these site as far as keeping them or selling them? I would be interested to know what you’re doing with the coustii site. I may have an interested buyer once you’re ready to sell. Spencer–I’ve read through a number of recent articles and all of this information is very helpful. It gives me something to look forward to as I continue! Thanks again. I am following this project from the beginning. I am seeing that Samara is doing great and also Perin. Ryan mention that he is having hard time. I hope that Ryan will come back surely soon. Hope for the best. Hitting roadblocks is all part of business. Ryan is going to see how well his site can do and pull through. I can’t wait to see where he is at in a month or so.